St-Gervais is unusual for France in that it is a winter sports resort that has bags of charm. The town lies not far from Mont-Blanc - indeed the peak lies within the municipality, and you get some magnificent views of the massif. It has a good range of facilities in the town itself, with an ice-rink, a spa, good shopping and a reasonably good nightlife. Nearby Megève, linked by the ski area they share, is an attractive, rather well-heeled resort, popular with the crowd you might see in Zurs, Cortina or St Moritz and significantly pricier than is the case of St-Gervais. The slopes between the two resorts are extensive, albeit relatively low, with plenty of off-piste if the snow conditions are good. It is also far less busy than the other mega-resorts in France and attracts far fewer of the package holiday brigade. 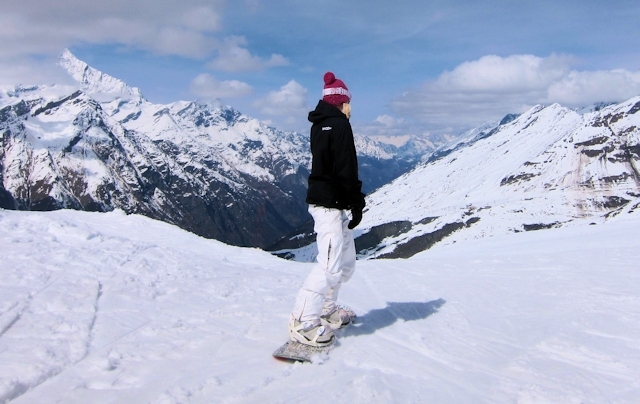 All round it is a good destination for intermediates and snowboarders. The railway station at Saint-Gervais-les-Bains-Le Fayet is a popular destination for railway buffs with three different gauge railways converging at the station, but it is also less than two hours from Geneva by train, making it a plausible alternative to Chamonix as a ski destination using only public transport. The best way to access the slopes is to use the TMB (Tramway de Mont-Blanc) which takes you to Saint-Gervais-Ville, from where you can take the free skibus that operates throughout the winter season to the gondola station at Le Chatelet. The skibus schedule for St-Gervais is here. By foot the gondola station is about 15 minutes from the town centre. You can also stay on the TMB to access a separate ski area at les Houches. Did you ski St-Gervais or snowboard in St-Gervais? What did you think? Have you taken the train to St-Gervais? Do you have any tips on accommodation in St-Gervais or the apres ski? Is there anywhere else you have taken the train to ski? if so, please contact us and share you experiences using the contact link at the foot of the page.